At the heart of all high-quality Farm Shops, there is always a good Butchery. The Hollies are proud to have Andrew Vernon at the helm of the team, to offer you the finest, fully traceable meats available! Our Master Butcher, Andrew Vernon, brings over forty years of experience to The Hollies. Andrew started working in his father’s butchery in Tattenhall at the age of eight. When he was sixteen he managed his first shop in Broxton before moving to Holt at the age of twenty one. Twenty years later he has joined us at The Hollies Farm Shop. You can rely on his knowledge and expertise to help you get the best from the meat you buy at The Hollies Butchery. Andrews’s commitment to the industry ensures the highest quality meats from farmers who share the same values as our own. 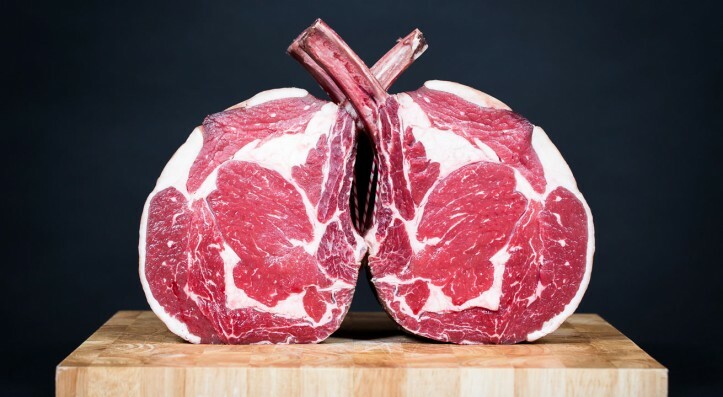 Whether it be a steak, chop, sausage, burger, rack of lamb, rib of beef or organic chicken, we hope that you will agree that the meat is some of the best you have tasted! We are proud to say that we make all our own sausages and burgers on site, which are award winning. Choose from a whole range of flavours including sticky onion sausages, pork and tomato, Cumberland, Welsh Dragon with chillies and leek, pork with black pudding and apple and The Hollies Cheshire with black pepper and mixed herbs; all made with fully traceable local pork. Why not try the Smokey Texas beef grill, the Welsh beef grill with onion, the Italian Job grill steak with tomato and basil sauce and mozzarella cheese, or our Ultimate Steak Burger with chillies and cracked black pepper? Our Butchers work hard all year round to bring you the freshest, tastiest products to their counter. Whether its Spring Lamb, perfect BBQ treats for the Summer, Autumn Casseroles or Festive meats and all the trimmings, The Hollies Butchery can cater for all your needs.